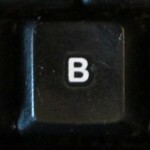 The ‘key’ to getting your audience to pay attention to your PowerPoint presentation. Get your presentation on the Web? Why and how? I’ve come up with 4 reasons to put your presentations on the Internet and 6 ways to do it. Easily create flexible PowerPoint diagrams that look professional. 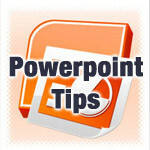 Learn how to resize and crop pictures in PowerPoint. Do you know the 3-side rule for better photo slides? Get a designer look with abstract images to create PowerPoint backgrounds. Keep your screen alive during presentations to avoid embarrassing hibernation mode. Create a PowerPoint timeline or agenda in PrezentationZen style. PowerPoint Tips: How many bullets should you put on a slide?